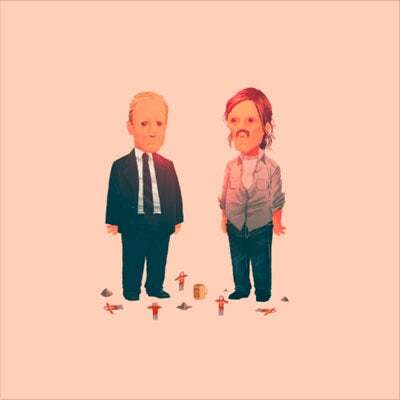 If you've been following Olly Moss on twitter lately, you know that he's become a big fan of the HBO series True Detective. So in honor of the series closing out its first season, Moss has debuted two new prints to honor the show. 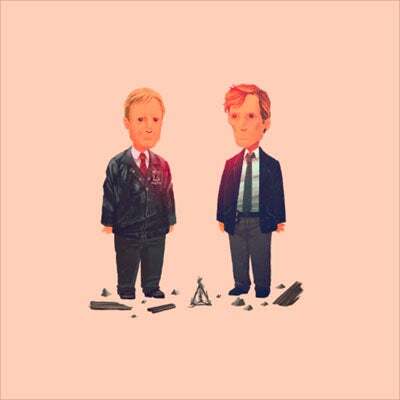 The prints depict the eponymous Cohle and Hart in both their 1995 and present day incarnations. The prints are 5x5 giclees; They are available for 24 hours, starting from early Sunday afternoon eastern time; and the edition size will be determined by how many purchased during that 24 hour period. So hurry up and grab them from Olly's store!